This is a northern circumpolar species, which comes south in our area very locally to the upper sandy beaches and dunes of Lake Superior and the north end of Lake Michigan. MICHIGAN FLORA ONLINE. A. A. Reznicek, E. G. Voss, & B. S. Walters. February 2011. University of Michigan. Web. 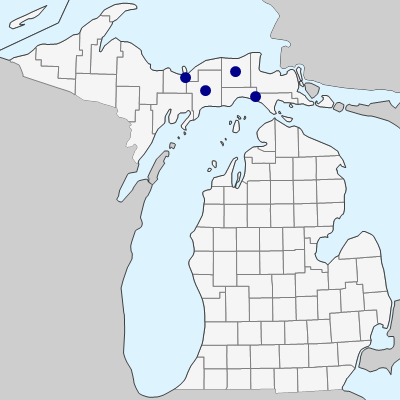 April 19, 2019. https://michiganflora.net/species.aspx?id=797.